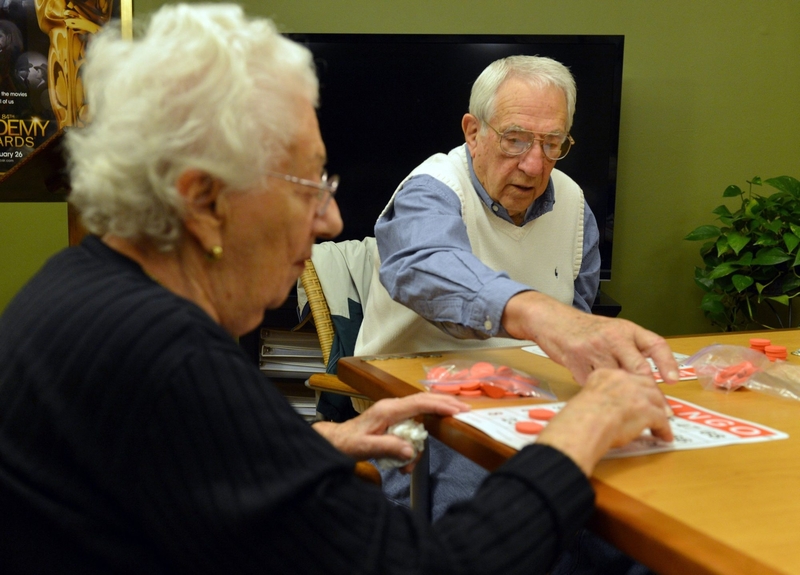 Harry Baron and his wife, Claire, play bingo at Arbor Terrace, an assisted living community in Marietta, Ga. Harry is still active, but his wife requires the assisted care of a nursing home. It’s a frightening prospect. You fall and break a hip and need several months of nursing home care. Or you’re recovering from a stroke and need help bathing and getting dressed each morning. Or your husband is slipping into dementia and requires assistance with daily activities. Those scenarios are the type of care covered under long-term care insurance, known as LTC insurance. As of 2012, an estimated 8.1 million Americans have bought such policies, which can cover anywhere from $160 to $250 a day for care at home, in assisted living or a nursing home. Although fewer people today spend lengthy time in a nursing home, the costs are daunting: a one-year stay in a California nursing home in 2014 costs an average of $94,400, according to the California Partnership for Long-Term Care. But the policies can be pricey, and they’re not for everyone. Here are some questions to consider if you’re contemplating whether to buy an LTC policy. Q: What’s new with LTC coverage? A: A lot has changed, said Bonnie Burns, a long-term care insurance expert with California Health Advocates, a nonprofit that promotes education and counseling for Medicare and LTC coverage. Today, more people receive long-term care at home, from family, friends or paid caretakers, than move into assisted living. “That’s a big change from 20 to 25 years ago,” when most people went to nursing homes, she said. “Many of those older (LTC) policies don’t pay for the kinds of things people use today, like home care or even assisted living.” Some older policies also had specific requirements before they’d make claims payments, such as requiring that in-home care be provided by skilled nurses. Today, LTC policies offer lots of choices, including how many years you want to collect benefits, how much per day, where you want to receive care and if you want inflation protection. Also, as people are living longer and dealing with dementia and other aging issues, a number of companies have dropped out of the LTC market altogether because it was no longer as profitable. Large group plans have struggled recently with higher-than-expected claims and rate increases of as much as 85 percent. Many companies have had to initiate rate increases of 40 percent or more to cover unexpected expenses due to a high number of claims. Q: Who needs an LTC policy? A: There’s no easy answer, Burns said. Somebody who has $30,000 in income can’t afford the same premiums as someone with $250,000 in income. “If you’re a renter with $20,000 in savings, long-term care coverage is not for you,” she said; Medicaid will likely cover your expenses. Some choose to self-insure, feeling confident they can pay out-of-pocket should the need arise. Others prefer to buy a policy so they don’t drain money from funds or assets they want to pass on to their children. Q: What’s the best age to buy an LTC policy? A: “It’s an expensive product,” said Margaret Reilly, program manager for the Health Insurance Counseling & Advocacy Program (HICAP) office in West Sacramento, Calif. The average annual premium for a U.S. long-term care policy is about $2,283. And be prepared to be quizzed before you buy a policy. Many insurers are more closely scrutinizing your medical history, even asking for cognitive tests, before agreeing to issue a policy. Q: Where should you start? A: Talk to a licensed insurance agent who has been certified to sell LTC policies. You want a company with a good track record and minimal number of rate increases. Q: What if you’ve got an existing policy but get hit with a big rate increase? A: If you get a letter about a rate increase, carefully review it, said Reilly. Some companies raise premiums at certain ages, like 65 or 70. Other companies re-evaluate their policies and raise premiums based on unexpected levels of claims. When premiums hikes are significant, some insurers offer a one-time chance to convert to a “paid-up” policy, said Reilly. “Every dollar you’ve already paid in will be held in reserve until needed. You’re giving up the policy, but not losing the money, if you need the care,” she said. But it’s not automatic. The offer comes in a letter, asking you to accept or decline. If you do nothing, the company presumes you’ve accepted the rate increase, she said.